Yannick and I are on a roll at the moment, ticking off historic houses at a rate of knots. 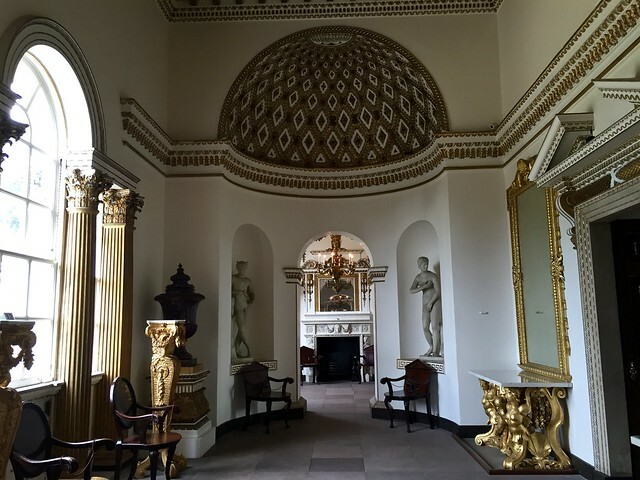 This week we got the train to Chiswick to visit the perfect bijou neo-Palladian villa, Chiswick House. And not just the house; it’s set in acres of manicured park dotted with statues and with a garden café where Yannick had his first encounter with rock cakes. 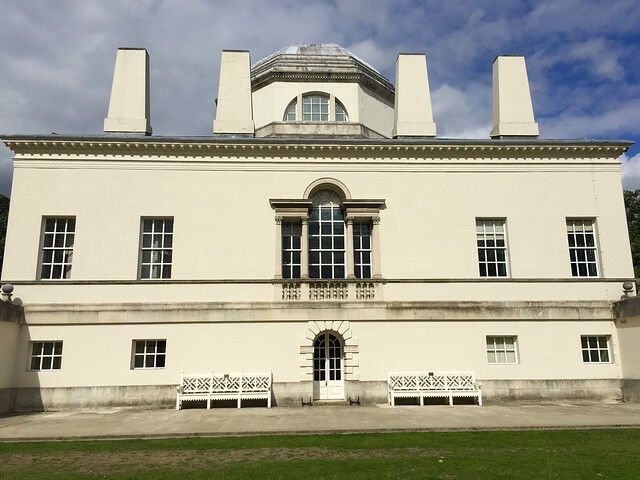 Chiswick House was built by the third Earl of Burlington in 1729 as a homage to Renaissance architect Palladio. The villa is designed like a classical temple and was never meant to be lived in. It was a place for Burlington to display his art and book collection and entertain small groups of friends. 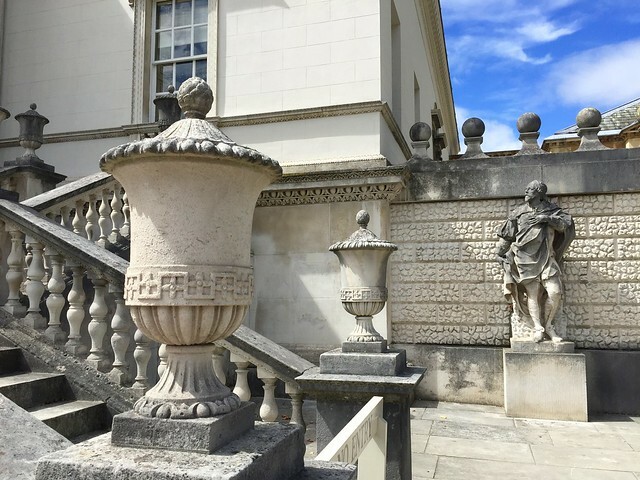 Either side of the main staircase in front of the house are statues of Andrea Palladio and Inigo Jones by the Flemish sculptor Michael Rysbrack. 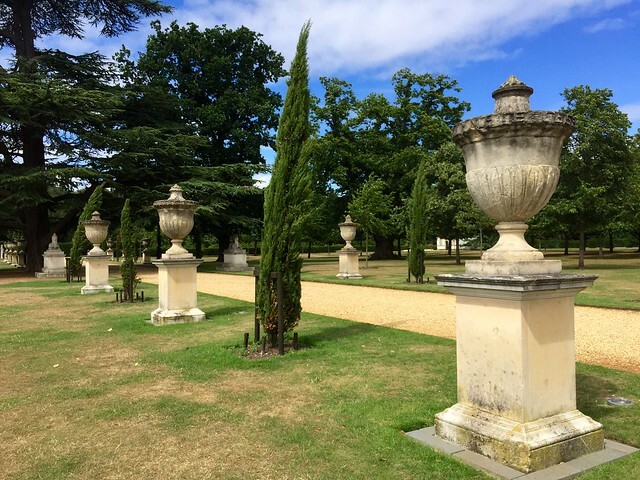 Urns and sphinxes line the main avenue in the garden. The lush interiors were designed by William Kent. The half moon apses in the gallery were copied from the Temple of Venus and Roma. 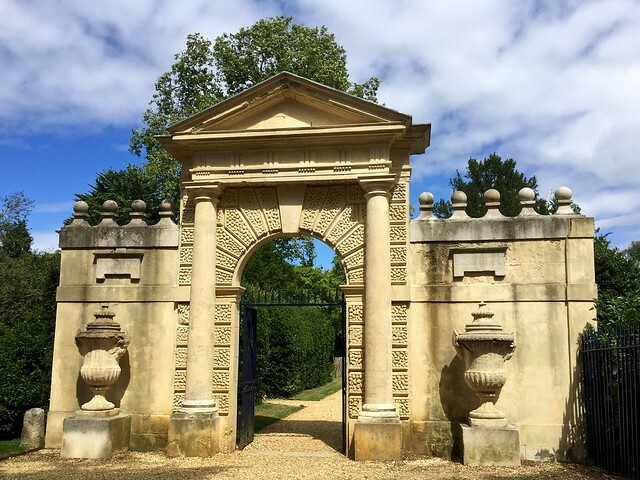 Kent also designed the gardens, replacing the straight-line formality of the existing renaissance garden with a more relaxed curved design, a style that launched the influential English Landscape Movement. Informal natural spaces were created and filled with sculptures. 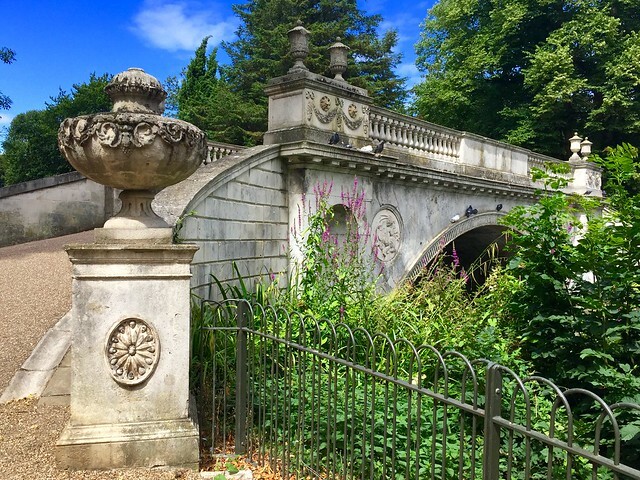 The classic bridge was built for the fifth Duke of Devonshire in 1774. Its design is attributed to James Wyatt. The Inigo Jones gateway was designed for Beaufort House in Chelsea in 1621. Lord Burlington bought it in 1738 when his friend Hans Sloane demolished Beaufort House. 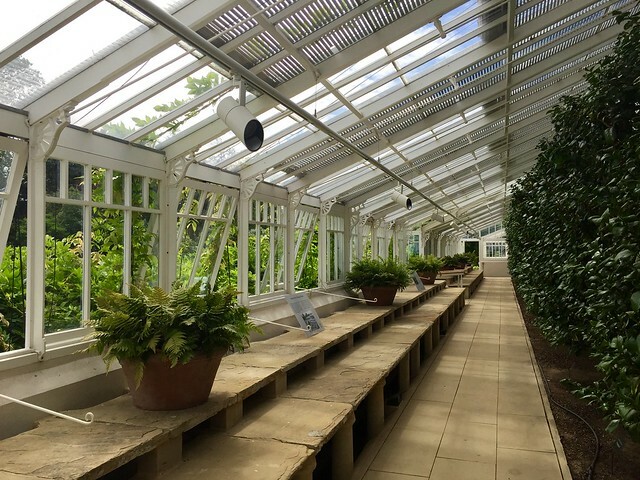 The sixth Duke of Devonshire commissioned Samuel Ware to design a large conservatory on his new land. Completed in 1813, the conservatory was the longest ever built at 302ft (96m). 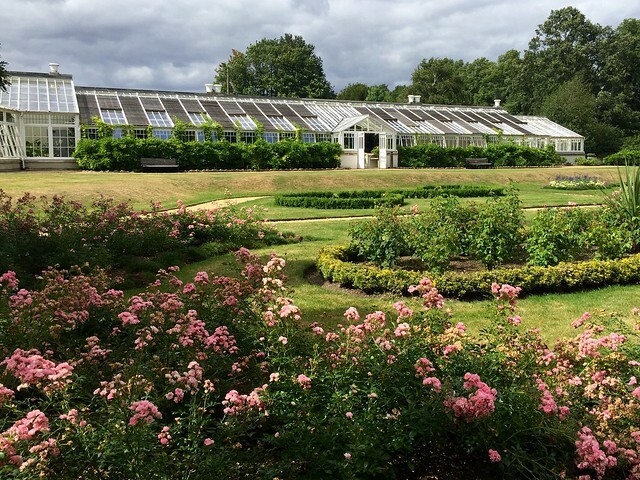 It’s famous for its large collection of camellias, some surviving from those planted in 1828. This is thought to be the oldest camellia collection in England and perhaps outside China and Japan. 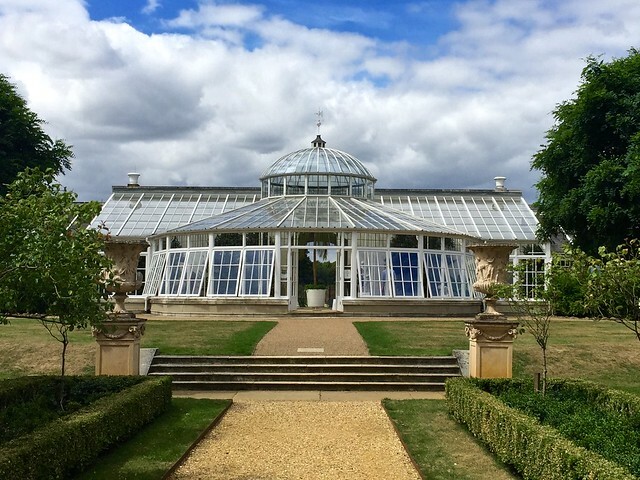 In front of the conservatory is the semi-circular Italian Garden with geometric flower beds cut in grass using the massed bedding system. It was designed by Lewis Kennedy and laid out in 1812 for the 6th Duke of Devonshire. 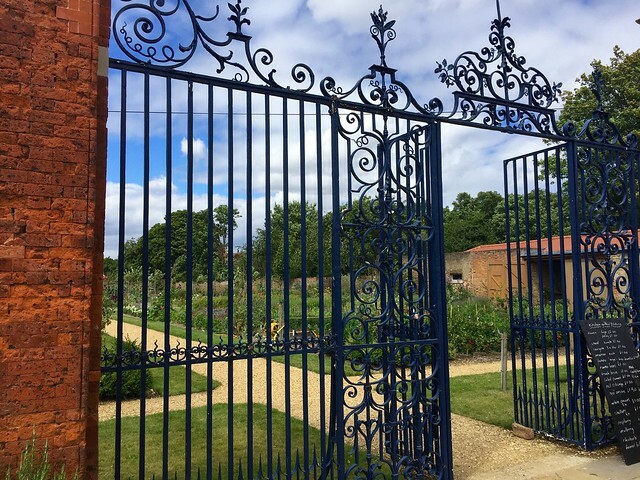 The Walled Garden was originally the kitchen garden for Moreton Hall, a mansion built in 1682, and bought by the sixth Duke of Devonshire in 1812 when the house was demolished and its garden added to Chiswick House. 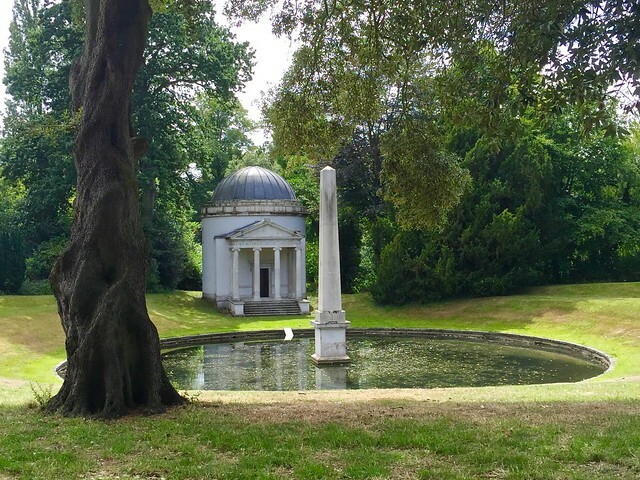 You can get to Chiswick House by train from Waterloo to Chiswick, which takes half an hour of by tube to Turnham Green and if you don’t mind a longer walk at the other end. 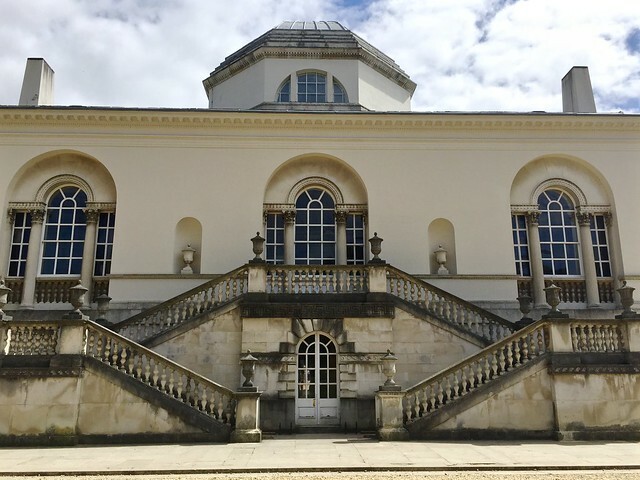 Check the Chiswick House website for details of prices and opening times. 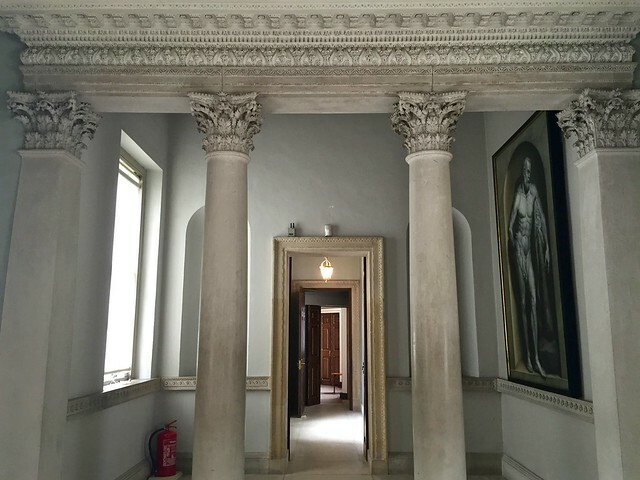 This entry was posted in Historic Houses and tagged arts, Camellia, Chiswick, Chiswick House, Duke of Devonshire, Earl of Burlington, gardens, Inigo Jones, London, William Kent by Fran. Bookmark the permalink. You are trying hard to educate us about houses and gardens, and all I can think is, I’ve never knowingly eaten a rock cake.